We have a new blog on the LA-articles site. 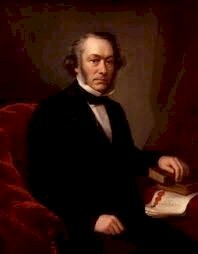 “Richard Cobden was the most prominent Classical Liberal of the 19th century Britain. It's not just me who rates Cobden so highly, by the way. 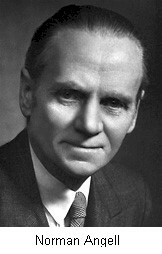 Cobden has been called 'the greatest classical-liberal thinker on international affairs' by the noted American libertarian and historian Ralph Raico. The Atkins Diet has been condemned by the majority of qualified experts—nutritionists, dieticians, and physicians. Although the preponderance of hostile expert opinion has somewhat lessened since the publication, beginning in 2002, of studies which seem to vindicate Atkins, the majority of established authorities still denounce the Atkins Diet and warn sternly against its conjectured dangerous consequences. Arthur Mitchell, the misnamed Trinity Killer, surmises for one fleeting moment that Dexter aspires to be a vigilante (“The Getaway,” Season 4). Our Dex, however doesn’t want to be a vigilante, though the net result is that he acts just like one. Be brutal. Tell the truth. 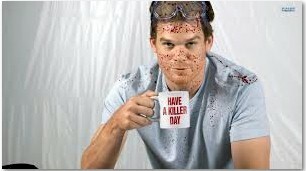 Would you rather live in Miami with Dexter than without him? The Battle of Bretton Woods by Benn Steil. Princeton University Press, 2013, $29.95. At the time of the great economic crisis of 2008, some world leaders, as is their wont at such moments, called for a complete rethinking of the world financial system. Therapy Breakthrough: Why some psychotherapies work better than others. Michael R. Edelstein, Richard K. Kujoth and David Ramsay Steele. The book covers the old Freudian psychotherapy and the new Cognitive Behaviour Therapy [CBT] that has largely replaced it over the last 60 years. A response to "Libertarianism and pollution: the limits of absolutist moralism"
The problem can be explained as follows. Some kinds of property are assumed to be compatible with interpersonal liberty: e.g., self-ownership, initial acquisition by use, acquisition by trade, etc. Other kinds of property are assumed to be incompatible with interpersonal liberty: e.g., slavery by seizure, acquisition by conquest, acquisition by theft and fraud, etc. How are the different kinds of property being distinguished as libertarian or not libertarian? A Reply to Herman Daly’s criticism of Julian Simon’s The Ultimate Resource. A Return to Commodity Money? Paper Money Collapse by Detlev Schlichter. John Wiley, 2011, $39.95. The Myth of the Closed Mind : Understanding Why and How People Are Rational by Ray Scott Percival. Open Court: $34 97. This book rightly repudiates the idea of irrationality, as did a few forerunners like The Myth of Irrationality (1993) John McCrone and The Passions (1976) Robert C. Solomon, to cite but two earlier books that suggested a similar thesis. However, this latest book is more cogent and consistent than those two earlier books. The jennyass, Felicity Lawrence, feels that it is a big mistake of the CONDEMS’ new Health Secretary, Andrew Lansley, to dismiss the recent campaign of Jamie Oliver against obesity. "John Maynard Keynes (1883-1946) was not really sympathetic to the idea of revolution but he certainly wanted a new beginning in economics, if not in society. Economics, as he found it, exasperated him exceedingly. So did businessmen. Many classical liberals are exasperated by businessmen too, for the statists are right to say that “the market is a good servant but a poor master”. But a free people do not want a master!" The words ‘liberty’ and ‘freedom’ are not usually distinguished in any systematic or significant way. They simply have different roots in the English language. ‘Liberty’ has its origins in the Latin ‘libertas’. ‘Freedom’ comes from the Old English ‘freodom’." By Stephen Berry:-“All about us we can see clearly now that the West is passing away.” is the first paragraph of a remarkable book by Pat Buchanan. Man of the century with sten gun. In Part 1 of this review I gave an exposition of Norman Angell's views on foreign policy and the problem of war. Originally written in 1908 (The Great Illusion - Now is the 1939 reprint), Angell's book demonstrated that in the case of war even the victors lost economically. He showed that they would not be able to enlarge their trade by war or even compel the vanquished to defray the costs of war by indemnities. In short, the widespread belief that one great nation could use force over another to gain immense material advantage was simply false." 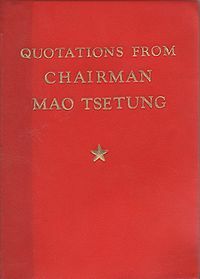 The year 2008 sees the centenary of one of the most important books of the 20th century. In 1908 Norman Angell published The Great Illusion , still the best exposition of the classical liberal case against war. 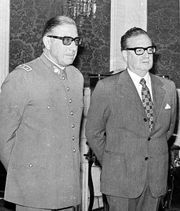 "In the last few months of the year of our Lord 2006, Latin Americans were asking themselves: Who will go first - Pinochet or Castro? The death of General Augusto Pinochet on 10th December provided the answer to that question but leaves many more unanswered." Being a five-minute talk on this topic given at one of Christian Michel's twice-monthly meetings. "I have limited the selection to the books I have read. I keep to the norm of not recommending to others books I have yet to read. Clearly, books I have not read by now suggests a judgement of some sort." "Listen children, this story is more than just true. It's true many times over, for the very same sequence of events has happened thousands of times on different worlds.
" I can remember the day I learned to ride a bike. I must have been about eight. In those days, at least in that part of England, there were no such things as training wheels and the smallest bicycles had twenty-four-inch wheels. I just kept pushing, wobbling, and gliding along, and suddenly, I could do it!" In 1812, Napoleon invaded Russia, defeated the Russian army, arrived in Moscow and found that he didn't know what to do. Confronted by the Russian Winter and a hostile population, he packed his bags and went home. In 2003, the U.S. invaded Iraq, defeated the Iraqi army (such as it was), arrived in Baghdad and now don't know what to do. Confronted by a hostile population and facing a bitter guerrilla war, the US cannot yet pluck up the courage to leave, but leave they surely will..
"And I believe we really do have to go back to the Second Boer War before we reach a British government engaged in a more unjust war than the present imposition of naked force on Iraq. Despite the clear opposition of world opinion in general, and countries which have been traditionally supportive of the West in particular, it has been determined that the present Iraqi regime should be toppled. Why has this happened?" When this philosophy student eventually encountered the writings of Ayn Rand, circa 1977, he was immune to her, how should it be put, banalysis of the central problems of philosophy and her Mr Toad like dismissal of those gentlemen up at Oxford'. Indeed, I felt rather embarrassed on her behalf. Rather as one feels when watching someone in a karaoke bar putting on a great show and never hitting a note in the middle. With Mises the experience was quite different. Admittedly, his claims for the apodeictic certainty' and empirical content of a priori reasoning in economics seemed so much to run full tilt into the arguments of Hume that  even with the aid of Kantian philosophy, neo and otherwise  he seemed certain only to choke on what he had bitten off. Nevertheless, the house that von Mises built struck me as an imposing one with or without its so-called foundations. 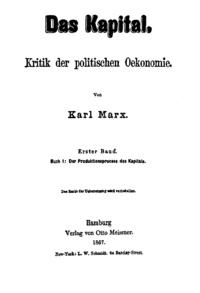 I even had a suspicion that what Mises regarded as truths synthetic, empiric and a priori would prove more palatable to philosophers and others if taken to be analytic, tautological and, in all practice, indispensable." "Is a commercial environment good for music? In one sense the answer seems to be manifestly yes, given the vast quantities of music produced and sold in live and especially recorded performances. But this refers above all to contemporary popular music, sometimes explicitly called commercial music because of its marketability. What of jazz and especially classical or art' music? Here the same terminology implies that there is something non-commercial about such music, perhaps because it cannot flourish (survive, even?) in a commercial environment, or perhaps just because it does not bear the imprint of market processes in its product." Policy makers of the right and left may differ over many things, but of one thing they are certain. Education  and here more seems to mean better  will be the key to success in the knowledge-based economies of the future. As a report to the British Parliament recently put it, Learning is the key to prosperity. Investment in human capital will be the foundation of success in the twenty-first century. And there is scarce a dissenter to this in the Western World. Whether we look at Europe, North America, Australasia or Japan, the trend in recent decades is inexorably in the same direction. Expenditure on education is increasing, the number of teachers growing relentlessly and in many countries, the percentage of students who enjoy the benefits of college education exceeds 50 per cent within their particular age group. "I fill Ernest Gellner with disgust: disgust at my views and disgust at his inability to say exactly what is wrong with them (or so he once remarked in his social philosophy seminar). Gellner fills me with frustration. He is always penetrating, witty and erudite (except when using "egotism" for "egoism"), but I cannot see how his ideas of social anthropology can be a substitute for real philosophy and economics. His new book is no exception." This time Old Hickory looks at: The Court of Appeal Judgement against Farrakhan. The BNP and the Local Elections. The Death of Lord Bauer. From 1912 to 1914, Mussolini was the Che Guevara of his day, a living saint of leftism. Handsome, courageous, charismatic, an erudite Marxist, a riveting speaker and writer, a dedicated class warrior to the core, he was the peerless duce of the Italian Left. He looked like the head of any future Italian socialist government, elected or revolutionary. This time Old Hickory looks at the destruction in New York, Dorothy Rowe's latest book and The Tory leadership contest. In the 1970s, the UK state ran a series of television adverts on the theme that "heroin screws you up". The message was that if you messed around with this dangerous drug, you would be at death's door within a few years, if not within a few months. I was rather pleased that I had never felt the slightest temptation to indulge in taking heroin as I repeatedly saw the adverts warning us all against it. "If prominent proponents of libertarianism appear to be ignorant of the great themes of Western political theory, then its opponents can plausibly dismiss libertarianism as another naïve attempt to deal with the complexity of political life with a set of simplistic slogans." Jan Lester replies to critics of his book "ESCAPE FROM LEVIATHAN"
"As a critical rationalist, I welcome criticism. A serious response can help to elucidate matters even when that criticism mainly comprises superficial misreadings, misquotations, unsubstantiated assertions, ill-tempered ad hominems and elementary linguistic confusion that together amount to a professional disgrace. 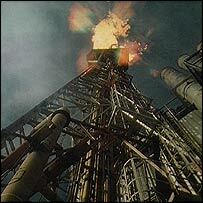 Thus I am happy to reply to Professor Machan's review of Escape from Leviathan." But many people can still be heard to proclaim with a bull-headed obstinacy that international sport should be encouraged as a source of goodwill between nations, a means by which individuals from different countries can come to know and like each other. Unfortunately, there are simply too many examples of international sport producing ill-will and all but sparking international incidents.
" Dutch voter in traditional costume votes 'No'." The week beginning 29th May, 2005 proved to be the most momentous in European history since the fall of the Berlin Wall in 1989. On that Sunday, the French, always seen as one of the staunchest supporters of the European Union (EU), voted 'Non' in a referendum to reject the new EU constitution. Barely had the bemused Eurocrats in Brussels prepared their explanations for this Gallic aberration when, on the following Wednesday, the Dutch too rejected the constitution with an even more decisive ‘Nee'. This time Old Hickory looks at: 'The Firemen's Strike and the Law', 'The Lords, the Home Secretary and Gaol Sentences' and 'The Great Britons Series'. It is not by chance that the bloodiest century in world history has coincided with a revival of the belief in state power. 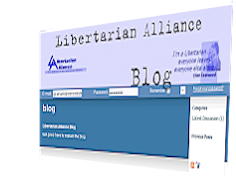 The Libertarian Alliance believes that a general appreciation of the predatory nature of state power is the surest method of countering this trend and continuing the work begun by the great anti-statists of the 17th-19th centuries. It is to this end that we republish Murray Rothbard's classic analysis of the state. It is often argued by libertarian types that there should be No Controls on this or that. The argument usually combines two factors: the supposed evidence that the controls are disastrous; and the supposed axiomatic fact that the repeal of state legislation must be more libertarian (though the latter point seems to oblige more-libertarian-than-thou types to stick to their guns' whatever the consequences). My chief contentions here are that many No Controllers are conceptually confused and that this confusion often causes them to argue for alarming and unlibertarian policies: policies that defend not liberty but licence, that is, having the power to infringe the liberty of others. The other day I saw some old film footage of Suffragettes marching with a banner that read, "Taxation Without Representation Is Tyranny". I seem to remember that some American colonials also once expressed similar views (whatever happened to them?). Most people would now regard that point as a fair one. I am no great fan of democracy, preferring liberty, but even I can agree that people who are taxed but not allowed to vote are likely to be more than averagely oppressed by those who can vote. Why Libertarian Restitution Beats State-Retribution and State-Leniency . "Why Orwell Matters is an advocate's defense of Orwell as a good and great man. The evidence adduced is that Orwell held the same opinions as Hitchens. Hitchens does allow that Orwell sometimes got things wrong, but in these cases Hitchens always enters pleas in mitigation. Hitchens's efforts to minimize the importance of Orwell's objectionable views, or in some cases his inability to see them, paint a misleading picture of Orwell's thinking." Escape from Leviathan: Libertarianism without Justificationism [Paperback] - J C Lester (Author) Amazon Review Extract: This is a ground-breaking work that is also an excellent introduction to libertarianism and social thought. collection in html and pdf format. The Libertarian Alliance has decided to create a web archive containing issues of its magazine FREE LIFE which made its appearance in the late 1970s. Over the years, FREE LIFE contained a large number of articles on Libertarianism which were both entertaining and instructive. We meet now on the second Monday of the month, at 7pm. Admission Freesee latest podcasts on our Meetings page Meetings Schedule and past talks in document and podcast format. Libertarian Herts. is a group of libertarians that meet every month (formerly a meetup group with the same name). We meet for a talk on a topic - historical, biographical, theoretical - of interest to those for or against the libertarian position. Each talk is followed by a discussion period open to all attendees. Which specialises in, but does not limit itself to, books on Liberty and Freedom ... Book reviews, links, bestsellers, rareties, second-hand, best price on books, find rare books.